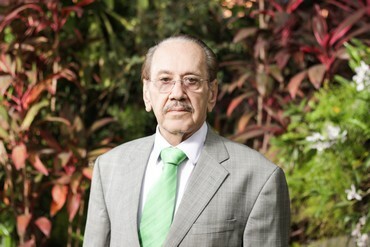 Born Asunción, Paraguay, March 10, 1939; admitted to bar 1963, Paraguay. Education: National University of Asunción (Lawyer, 1962; Doctor in Law, with honors for maximum qualification, 1967). Former Minister of Foreign Affairs of Paraguay. Former President of the MERCOSUR Arbitration Court, appointed by the unanimous concurrence of its member countries Brazil, Argentina, Uruguay and Paraguay. President, Paraguayan Academy of Law and Social Sciences. Former Member of the United Nations Commission for International Trade Law (UNCITRAL). Former President: National Codification Committee; House of Representatives of Paraguay. Former Vice President, Latin American Parliament. Former Legal Advisor to the Paraguayan Central Bank and to the Ministry of Foreign Affairs. Former Ambassador to Brazil. Arbitrator, Paraguayan Chamber of Commerce. Member, National Group of the Permanent Court of Arbitration, the Hague. Law Professor, National University of Asunción and Catholic University of Asunción (graduate and post-graduate) with several books and legal articles published. Member: Inter-American Bar Association; International Bar Association; Paraguayan Bar Association; Paraguayan Banking Law Institute; A.P.A.P.I. ; CEPEI (Paraguayan Center for International Studies). Languages:English, Portuguese and Spanish. Practice areas: Arbitration; Civil Law; International Commercial Law; Banking Law; International Business Transaction; International Commercial Contracts; Corporate Law; Government Contracts; Contracts; Public Bids; Trademarks; Patents; Communications Law; Leasing; Mergers and Acquisitions; Finance; Administrative Law; Distribution Agreements; Media Law; International Trade; Privatization; Eminent Domain; Family Law.